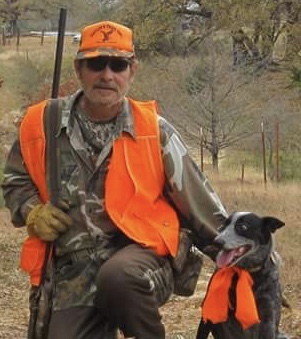 Decatur ~ Kenneth Edward Taylor, 69, went to be with our Lord Saturday, April 13, 2019, in Decatur. Kenneth was born on September 26, 1949 to Kenneth Elmer and Betty (Thompson) Taylor in Dallas, Texas. He was united in marriage to Madelyn Kaye Brooks, on February 18, 2012 in Decatur. Kenneth worked as a foreman for Karl Klement Motors. He was a beloved husband, father, grandfather, brother, uncle, and friend. He was preceded in death by his parents; his adopted father, Bill Hamm; his grandmother, Hattie Thompson. Those left behind to cherish his memory are his wife of 7 years, Kaye Taylor of Decatur; his son, Edward Wayne Taylor of Grand Prairie; his daughters, Tabatha Ann Resecker and husband Barry of Texarkana, and Mechelle Baker and husband John of Abilene; his 6 grandchildren; his 2 great grandchildren; his sisters, Diana Taylor, and Mary Taylor; numerous nieces, nephews, and a host of friends.